This fifty page booklet is packed full of information about common minor illnesses and injuries and how to deal with them at home. Subjects covered in the booklet are – Caring for the Ill and Injured, Minor Ailments, Minor Injuries, Meningitis, Infectious Illness in Children, Compresses, Poultices and Inhalations and Further Reading to Inform Yourself. 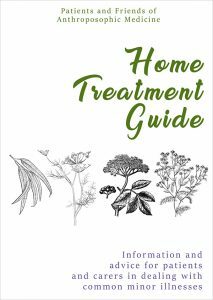 It is a really helpful reference guide, for example, not many people know how to make or use a poultice, which can be helpful in easing discomfort. Other topics include How to Treat a Fever at Home, Head Injuries, Herb Teas and many more simple and effective ways to tackle minor cases of illness. To order your own copy for £5.00 (inclusive of postage and packing), please send a cheque made payable to PAFAM to the address on the CONTACT page, remembering to include your own name and address details as well. Conventional treatments for high blood pressure often fail. Around half of patients who are prescribed medicines stop taking them, often because their doctor hasn’t taken a holistic view of the patient’s needs or life situation. Other patients feel there is no alternative to a life-long course of pills. This book offers another way. 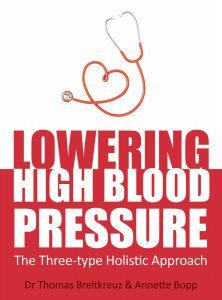 The authors provide a tailored and holistic programme for anyone who suffers from high blood pressure, empowering them to discover which of the three core types of hypertension they suffer from: stress type, abdominal type or chaos type. They then outline tailor-made therapeutic programmes to care for body and soul, including nutrition, exercise and Anthroposophic therapies to suit each type. The book includes real-life case studies, which also demonstrate the huge difference that this holistic approach can make. To order your own copy for £9.99 (inclusive of postage and packing), please send a cheque made payable to PAFAM to the address on the CONTACT page, remembering to include your own name and address details as well. ‘In the Sun Born Over and Over’ is a collection of Poems and Meditative Verses created from patients’ special memories of Park Attwood Clinic Worcestershire. 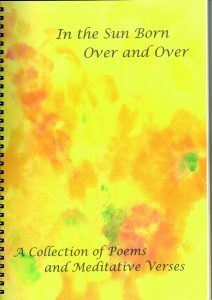 The collection includes some well known and some lesser known verses and poems. The sections of this A4 sized book are wrapped into 140 pages an include Midwinter Spring is its Own Season by T.S.Elliot, Breathing Out I Smile by Thich Nhat Hanh as well as content such as For Those Who Died, Planetary Days of the Week and Angel. To order your own copy for £18.00 (inclusive of postage and packing), please send a cheque made payable to PAFAM to the address on the CONTACT page, remembering to include your own name and address details as well.